This Feeding Calculator is meant to be used as a guideline or starting point for your pet who is eating a raw food diet. 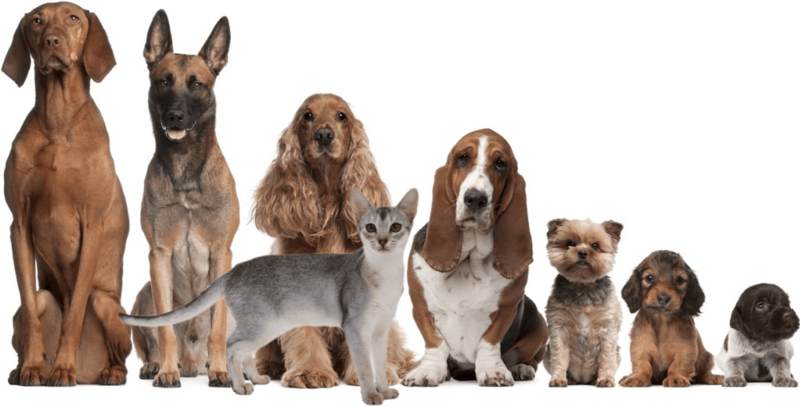 Overtime you may need to adjust the feeding amounts based off of your pet’s physical appearance. A lean physique is ideal for a dog or cat in order to keep their heart, joints and everything in between healthy. Look for a curved indentation in the area of the waist and ensure that the ribs can be felt with your hands easily without being overly visible. If your pet needs to gain or lose weight we recommend that you calculate the amount of raw food using their ideal weight as this is the healthiest and safest way to stabilize their weight. We’ve provided additional information below the calculator explaining how we’ve reached the calculated amounts of food. Puppies may need as much as 10% of their body weight in food and pregnant and lactating dams also need an increase throughout gestation and especially during lactation. The calculations above reflect the total amount of food per day including all meat, bone, and organ.